Christmas is just a few days away and people are still thinking of what presents to give. People who love cigars often get different kinds as gifts, but there are other things that they would also appreciate. Paying attention to details will make choosing easier. First things first, get to know the recipient of the gift. Find out the brand, line, blend and size of cigar that person would want most. 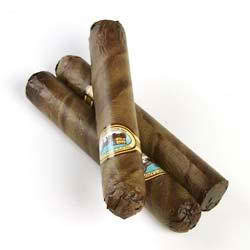 Since cigars often come in boxes of 25, it is a good idea to divide these into five and distribute them among friends. If you are willing to give them a box, that would be awesome. If you are not sure of what kind of cigar they like, you can get them a sampler pack that contains various cigar blends for them to choose from. Who knows, they might just find their new favorite blend in one of them. Mild to medium cigar variants are always a safe option. Cigar accessories also make great gifts. Pick an ashtray, lighter, cigar cutter, travel tubes or cases that fits the recipientâ€™s personality. Better yet, have them engraved with their initials. Humidors also make great presents, but they are quite costly. A nice one costs $100 or even more. 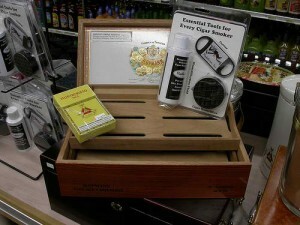 New cigar smokers would appreciate a 50-count humidor while veteran cigar smokers would probably need a bigger one. If you are not sure of what to get, gift cards or certificates from cigar shops would be fantastic. Recipients can choose their present and you are sure that they will enjoy it. It is the easiest and surefire option, but nothing beats the thought behind picking something that suits the person you are giving gifts to.